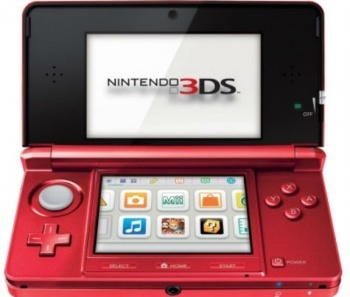 Nintendo is apparently in a generous mood today, as the beloved gaming firm offered up release details for Mario Kart 7, Super Mario 3D Land and a new, "flame red" 3DS model. Notice that I said "release details" and not "release dates" in that lede? There's a good reason for that. Though actual dates were originally specified, Nintendo later claimed that said dates were "rumored" and that Mario Kart 7 and Super Mario 3D Land are still only tentatively scheduled for later in the year. Specifically, Super Mario 3D Land will appear in November and Mario Kart 7 will hit retail in December. That new "flame red" DS however, is coming a bit sooner, and Nintendo is entirely comfortable with slapping a solid release date on its crimson shell. Come September 9, you'll find these borderline day-glo handhelds sitting on store shelves. That release date coincides with the release of Star Fox 64 3D, and according to Nintendo's PR burst "comes on the heels of a new $169.99 suggested retail price, which goes into effect Aug. 12 in the United States." In case that pleasant reminder wasn't enough for you, the release also includes the below promotional video. It's stereotypically homogenized PR stuff, but it reiterates all the salient points for those of you whose attention spans start to wander without the presence of moving images. Most crucial to the release of the new red 3DS, is the myriad color options now available to prospective consumers. As the PR blast states, "Flame Red joins Cosmo Black and Aqua Blue, so now shoppers have three distinct and fashionable colors to choose from." I'm all for offering consumers options, but why anyone would ever need a color that isn't black is beyond me. If it's good enough for mopey teenage girls, it's good enough for your silly videogames.